1). What is Transport Corporation of India Limited (TCI) all about? Transport Corporation of India is India's leading integrated supply chain and logistics solutions provider and a pioneer in the sphere of cargo transportation in India. Leveraging on its extensive infrastructure, strong foundation and skilled manpower, TCI offers seamless multimodal transportation solutions. An ISO 9001:2008 certified Company, TCI is listed with premier stock exchanges like NSE and BSE. The company progressed from being a "One Man, One Truck, One Office" set up to becoming India's leading Logistics & Supply Chain Solutions provider with a Global presence. 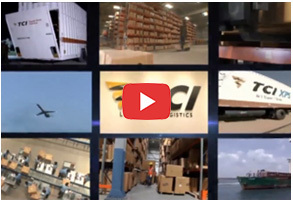 TCI Group has an extensive network of over 1000+ company owned offices, a huge fleet of customized vehicles and managed warehouse space of 10.5 million sq. ft. and a strong work force of 5000+. With its customer-centric approach, world class resources, State-of-Art technology and professional management, the group follows strong corporate governance principles and is committed to value creation for its stake holders and its social responsibilities. 2). Where and in which year was TCI incorporated? The Company was incorporated on 2nd January, 1995 as TCI Industries limited as a public limited company under the Indian Companies Act, 1956. It changed its name to Transport Corporation of India Limited in October 1999.The Company has taken over all the specified and allocated assets, both movable and immovable from Transport Corporation of India Limited (TCI) as per the order dated 13th July, 1998 of Hon’ble High Court of Andhra Pradesh, Hyderabad. All the assets & liabilities held by the “Transport Division” of TCI have also been vested with the Company with effect from 1st April, 1996 i.e. the Appointed Date in pursuance of the said Scheme of Arrangement. 3). What is TCI’s revenue and profits for the Financial Year ended 31st March, 2016? 4). What is the employee strength of the TCI Group? TCI and its subsidiaries had 5,000+ employees as of 31st March, 2016. 5). What is the credit rating of the company? The credit rating of the company is A1+ (ICRA) and AA-/ & A1+ (CRISIL). 6). How many branches TCI has all over the country? The Company has pan-India presence with 1,000+ branches. 7). In which countries TCI has set up its operations? The Company has international operating offices in Indonesia, Nigeria. 8). What is the address of registered office of TCI? The registered office of TCI is situated at Flat Nos. 306 & 307, 1-8-201 to 203, 3rd Floor, Ashoka Bhoopal Chambers, S .P. Road, Secunderabad-500 003. 9). When does TCI financial year ends? TCI’ financial year ends on March 31, every year. 10). In which stock exchanges are TCI shares listed and what are the codes? 11). Where can I obtain information on TCI financial results? TCI’s quarterly and annual financial results can be accessed at the website of the Company under the Head “Investor Relations” and further Sub Heading “Financial Results”. 12). What is the Corporate Identification No. of Transport Corporation of India Limited? The Corporate Identification No. of Transport Corporation of India is L70109TG1995PLC019116. 1). What is the history of stock split at TCI? 2). Does TCI have a dividend reinvestment program or dividend stock purchase plan? The Company does not offer a dividend reinvestment program or dividend stock program, at present. 3). Does TCI pay dividends? What is the dividend policy of TCI? TCI has consistent track record of regular dividend payment. The Board of Directors reviews the dividend policy periodically. 1). What is the date of Board Meetings for consideration of financial results? 2). When is the dividend declared? TCI normally pays dividend twice a year. An interim dividend is generally declared by the board from October to January along with the adoption of second quarter results or third quarter results. Additionally, a final dividend is recommended by the Board in April/May along with the adoption of annual results. The final dividend is subject to the approval of shareholders at the AGM (Annual General Meeting). 3). When was the last AGM (Annual General Meeting) held? AGM for fiscal 2014-15 was held on August 1, 2015 in Hyderabad. 1). What is Dematerialization of Shares? This is a process whereby the shares held in physical form are transferred in Electronic form. 2). What are the advantages of holding shares in Depository system? • No chance of loss, theft or fraud of shares. • Platform for internet based trading. • One demat account can hold shares for more than one Company. 3). What is Rematerialisation of Shares? Re-materialization is the process of converting shares in electronic form into physical form. After rematerialization the shareholder is given the share certificate covering the shares, hitherto held by him in electronic form. 4). What is Transmission of Shares? 1). How should Investors get in touch with TCI?